While the Fashion Week runway shows occurring for every spring/summer and fall/winter seasons bring to us such a lovely bouquet of new ideas for outfits and ensembles, it can also be the catalyst for the latest fashion trends that may not be so mind or pretty but more so on the extreme side. We all love beauty trends. We have spoken about the patterns and the prints, the colors and the latest cuts in the cloths. We have looked at the latest trends when it comes to eyewear, headwear, and accessories in general, alongside the shoes and the handbags. We have enjoyed watching our favourite models strut down that runway with confidence, shoulder back and head held high. We have been scouring the top designer retailers to fill up our closets and it appears that we are just about ready to take on the whole of the year of 2015. We are ready and we are happy. There is one thing that has us a little shocked though. All right, very much shocked. There were so many extremes seen during the fall/winter 2015-2016 Fashion Weeks in London, Milan, New York and Paris that we are flabbergasted by it all. It appears as if piercings and tattoos are back in but it is such a contrast against the simpler styles of the 1970s that we love so much. After all, it is not every day that you see the extreme beauty sector on the rise, while the simpler styles fade away into the background. But what exactly do face tattoos and septum rings mean for us? To date, we have seen a whole lot of nothing done to achieve the perfect beauty looks, from the naturally waving boho hair to the makeup-free faces that look infinitely younger than those with the cosmetics caked on. Designers had opted for whispers of fashion, creating bends in pin straight hair and a hint of gentle shine on the face for an all-around perfect glow. There were always those who went over the top as well, of course, but mostly it was all toned down and a whole lot of lovely. 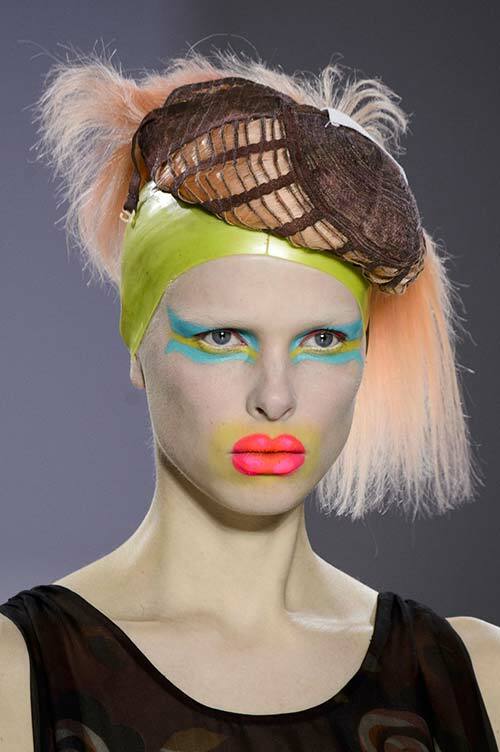 The likes of Vivienne Westwood, Gareth Pugh, Sarah Burton, Karl Lagerfeld, or Kate and Laura Mulleavy certainly do not make this cut though as they are infamous for their crazy use of color and style, hair that is all over the place and accessories that really define a rebellious, most imaginative side to the human being. For the fall season of 2015, however, it appears as if everyone has jumped out of their skins and taken a more daring approach, following in the steps of the less conforming artists in the fashion industry. While the first few weeks in New York, London and Milan were rather tame, offering a hint of rebellion here and there but generally sticking to the status quo, it was Paris that lit a fire and threw us into the flames, so to speak. It was Paris that offered the most incredibly outrageous looks that we are still having trouble understanding after all those weeks of relative calm before the storm. Caution was thrown to the wind and the editors loved the outcome in the end. The buzz may have slowed down, but the extreme beauty styles have begun to creep onto the red carpet and appear at the Coachella Music and Arts Festival in California that everybody who is anybody has been attending these weeks. 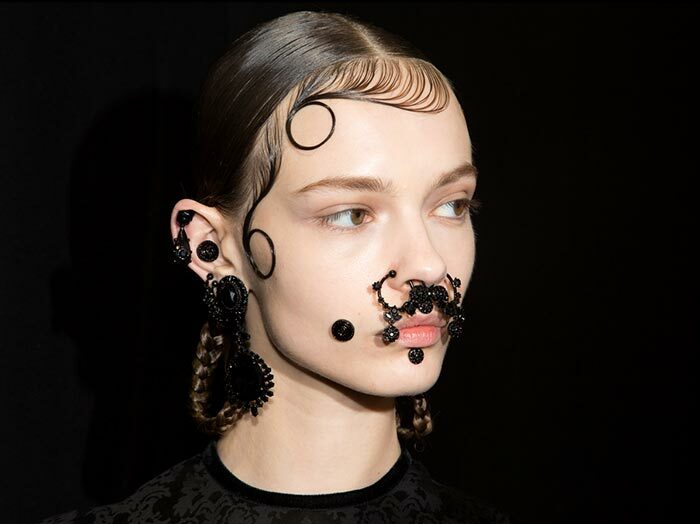 • All Over Face Piercings: We are not sure what was going through the minds of those working at the Givenchy fashion house, but we are thoroughly thrown off guard every time we see an image of one of their models gracing the catwalk with her presence. We are still not used to those pearl face piercings, the septum rings or anything in between. We are pretty sure that the location of those piercing under the eyes is as dangerous as they come as well. For those of us used to the single earring or smaller piercing trends, this is a pretty big morsel to try and digest. Face piercings were also seen on Rodarte, when simply beautiful was mixed in with septum rings and brought to us an entirely different understanding of what it means to look naturally beautiful these days. It was a much easier pill to swallow than the Givenchy looks, that is for sure. 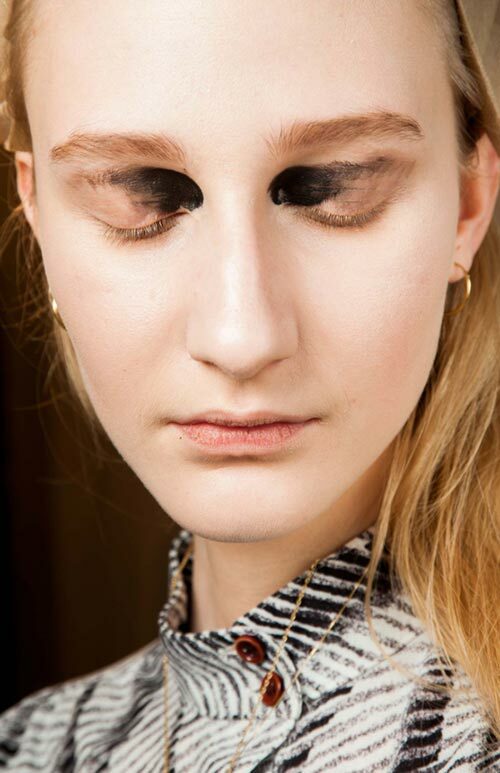 • Body and Face Tattoos: Proenza Schouler prefers to whisper rather than scream out it seems. Yet, with the latest shows often depicting a wilder, more barbaric group of humans, designs on the faces, particularly subtler paints are not as astonishing as expected. On the contrary, we might grow to very much like those face tattoos, particularly if they do not last long. Face tattoos of funky stellar designs appeared on the Giamba runway and had us rather interested in their existence. Simply these were perfect tattoos circling the sides of the eyes. Other designers opted to keep the drawings away from the face and had them cover the rest of the body, such as those spotted at Junya Watanabe. Trees grew out of the bows and over the forehead through face tattoos on the regular Vivienne Westwood collection presentation as well. 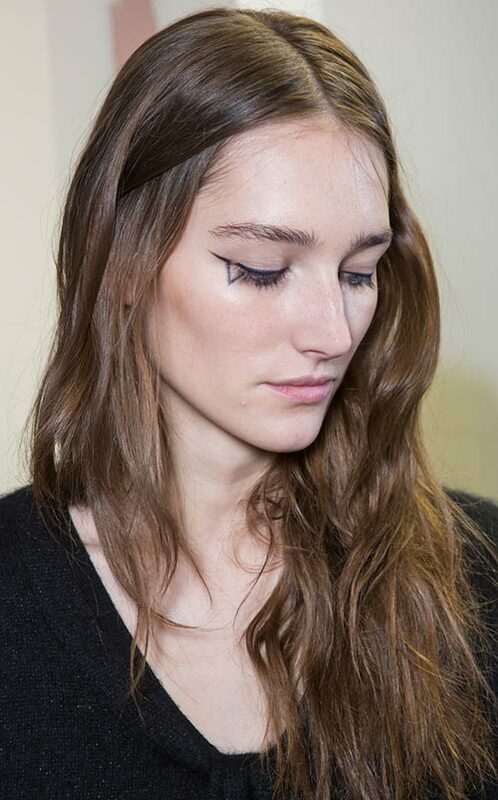 One of the softest tattooed looks were those seen on Anthony Vaccarello, wherein the liner appeared to be tattooed into place at the side of one eye, using a fun little geometric design. 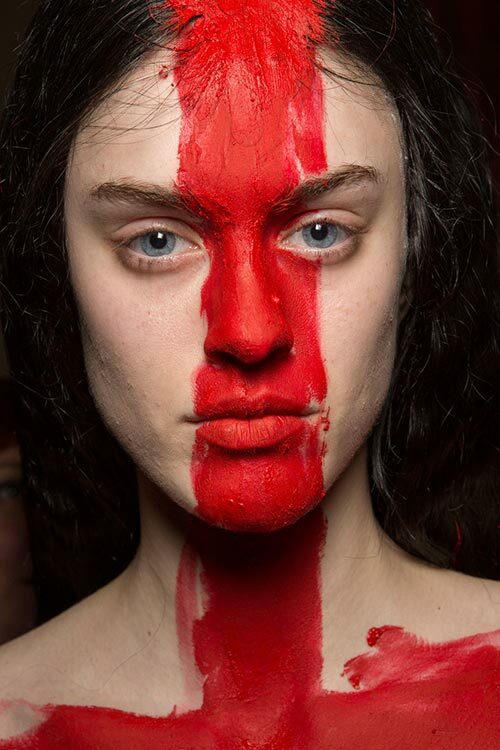 • War Paint On the Face: Gareth Pugh brings medieval war paint in the colors and shapes of crusader flags to the Fashion Week runway shows and entertains us to no end. We may never walk out looking like that, but at least we have an idea of what to do for Halloween this year! 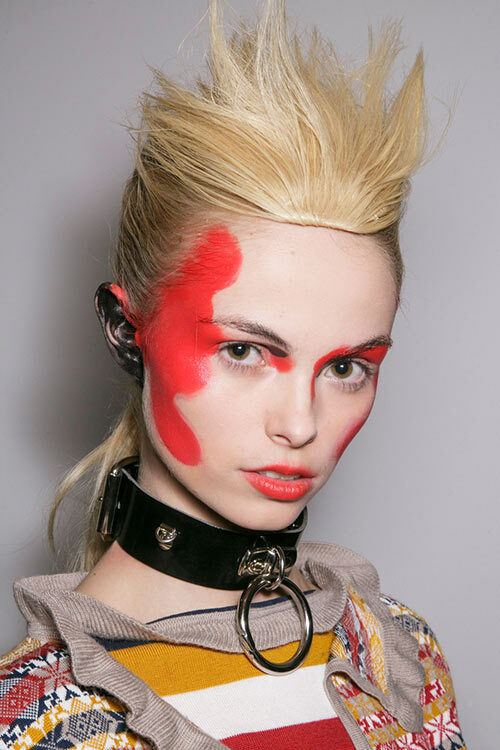 Vivienne Westwood Red Label also featured warrior type face paintings that were intriguing, dual colored and with a gripping effect on the audience. 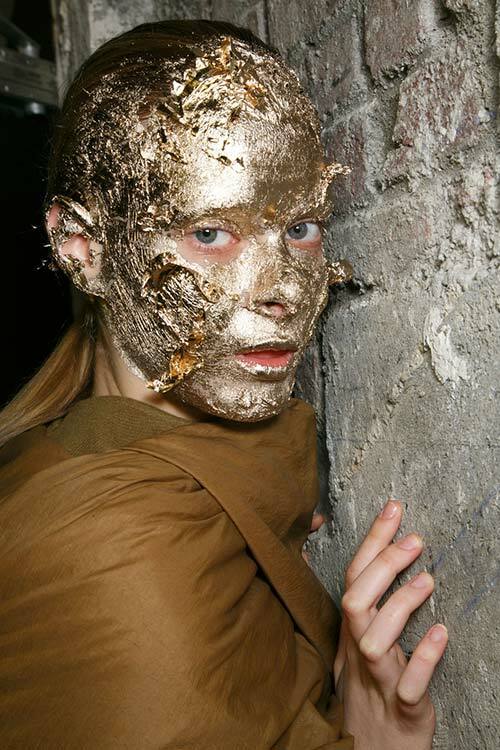 • The Golden Face Masks: Rick Owens seems to have decided to dip models’ heads into a golden river, turning the whole of the face into a treasure unto itself. The face has become the accessory. It almost appears as of the Roman gods have descended onto earth and are horrified by what they see happening here. 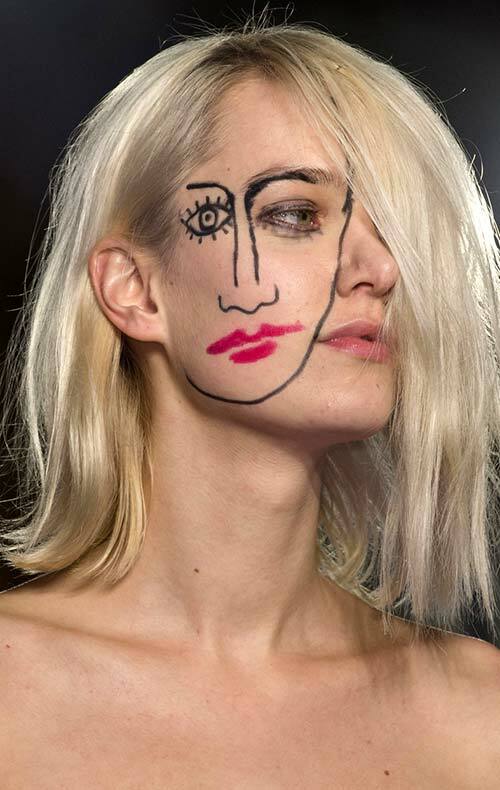 • Double Face Tattoo Illusions: While we are all for the subtler face tattoos, we are not sure we will be walking about sporting a Picasso style double face that has been modernized by Jacquemus. Three eyes, two noses, two lips and all are a bit much for us to stomach at the moment. That is like bringing aliens down to earth. • The Dead Men Walking: There is something distinctively British about the ghost-like appearances of the models with their white lashes, ombre lips, barely-there brows and crazy curly hairdos that seem to have not seen a good brushing in 100 years. At least, that is what Alexander McQueen’s corpse brides look like. 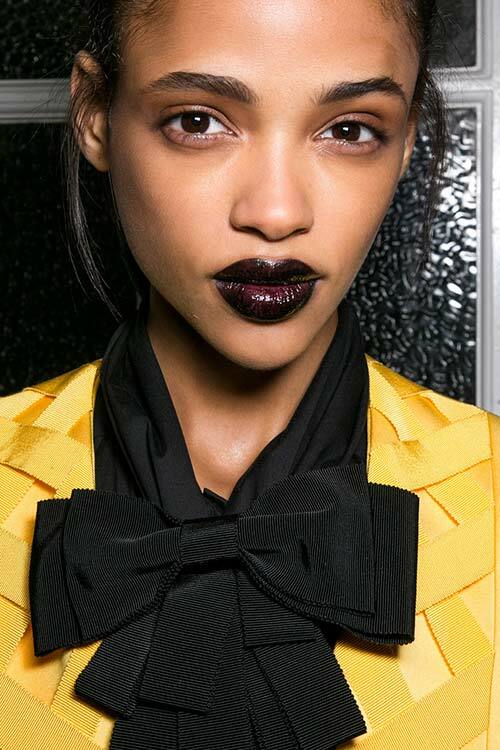 • Black Lips of the Widow: It may have been scary at times, but some of the designers either opted for dark plum or perfectly black lips on their models, the latter appearing within the Giles fall/ winter 2015-2016 collection on the Fashion Week runway show. The darker purple look was seen at Marc Jacobs and offered an intriguing break from the simpler designs on the runways before and after its appearance on stage. • Studded and Heavily Lined Eyes: Eyes are the windows to the soul and pretty crystals glued to the lower lids have a way of attracting interest as no other form of jewellery may. 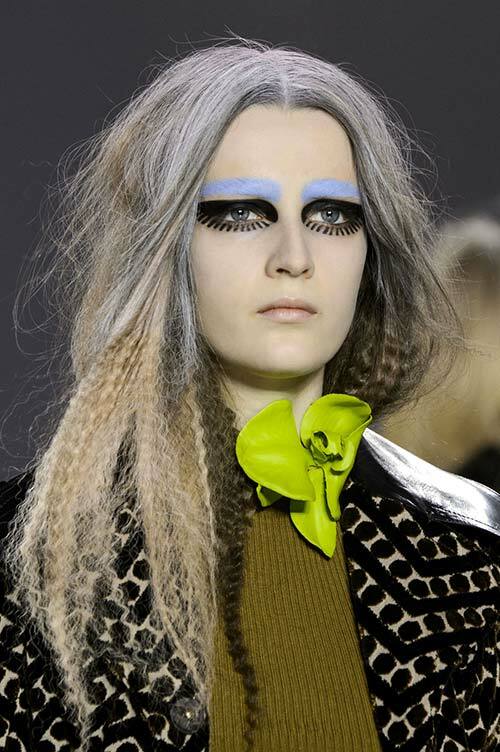 We are thinking it even looks really pretty with those septum rings, but may also be fascinating without the extra piercings and face jewellery as seen at Rodarte. 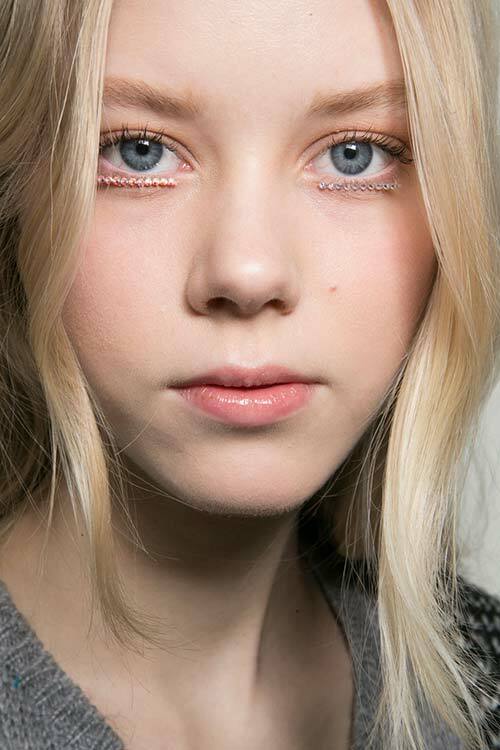 The eyes do not need to just be studded in order to grab attention either, as we noticed on the Dior show. On the contrary, thick lining over the lids and extending to the brow bone also does the job beautifully, bringing the focus onto those gorgeous orbs. Fendi’s funky liner might not have been especially thick, but it certainly did have that lived in look and a whole lot of mascara plastered onto the lid. 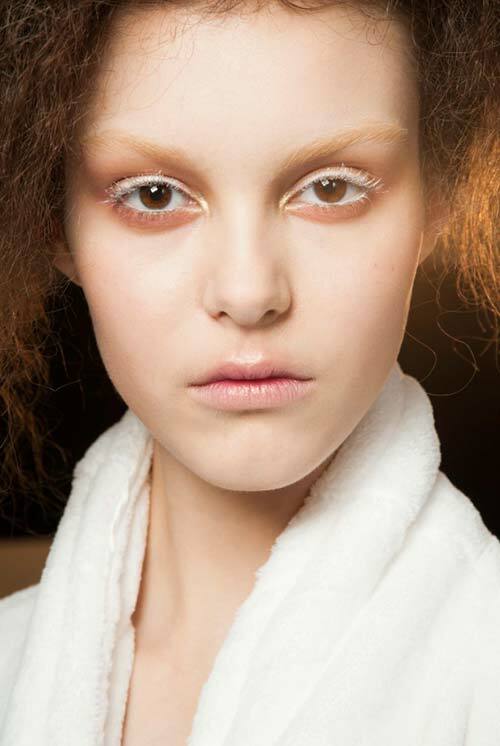 Rochas offered a more beautiful bold look by introducing thick liner over the brow bone and the top of the lid as well as the edges of the lower lid, the double lining making for an intriguing artistic play of the brush. • Near Frightening Color Contrasts: Sometimes contrasting colors can appear to be quite beautiful, if tastefully applied. However, contrasting colors can also be used to create the most sinister of elements, such as the frightening crazy old hags that appeared in deformed stances on the Maison Margiela runway show. Celine offered blue and red against pearly white skin as well, in more contrasts that were not especially frightening as they were extremely bold and quit perfectly meant for the runway. It reminded us that fashion shows were meant to dazzle and throw us off for a loop time and again instead of bringing out models whose looks would be perfectly emulated. Now, we can merely tone it down to suit our needs and still look awesome while being entertained throughout. Contrasts with thick black liner, really red lips and corpse white skin at Saint Laurent had their own frightening effects, reminding us of crack whores of the past. Their garments certainly helped augment that idea in our minds. • Slicked and Crazy Hair: Jewellery and paints were not the only extremes that grabbed our attentions. We also noticed the hair, from the slick boy cuts seen at Chanel to the weirdly artistic hard versus soft looks at Rick Owens. Alexander Wang seems to have thrown his models into a pool of water, their hair was so wet and stringy, while Marc Jacobs decided there is nothing better than a top knot to balance out the finger curls a seen at Missoni.